How good is Autumn/Winter fashion right now? With retailers stocked to the brim with their AW 2018 ranges, there’s so much great fashion to choose from so it’s a great time to edit your wardrobe, try on last Winter’s favourites and work out what – if anything – you need for the cooler months ahead. 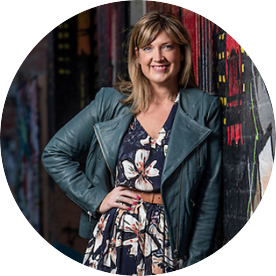 I find that some years I buy fewer, investment pieces such as a great LBD, a warm woollen coat, a leather jacket or a pair of quality leather boots. These pieces last many seasons and tend to be classic styles in colours I’ve loved and worn over the longer term. Other times, all I need is a freshen up which is easy to achieve with more budget friendly and on trend items like a new scarf, a printed top, a new knit or by replacing some of the key basics like long sleeved tees. Whatever you’re looking for – or whether you’re just looking for some fresh ways to wear your wardrobe winners – I hope you find something that works for you in the three styled outfits below. Finally, just before we launch in, don’t be put off by the price points – many of the retailers I’ve included below have regular – if not current – Spend and Save or other storewide promotions, where you can expect to save anywhere between 20 – 30% or more with a Spend and Save on new season fashion. 5. Balloon Sleeve Ponte Dress, $129 from Witchery. This first outfit is a fresh update on a classic outfit – a flattering LBD, camel trench and fab accessories. It’s an outfit I’d wear to work or for a dressy lunch. I love the sleeve detail on this Witchery dress and the higher neckline is ideal for warmth and coverage, while the tapered shape is a flattering, longer length. 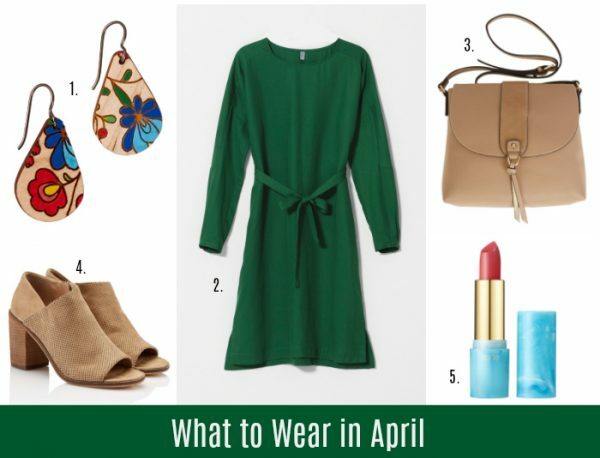 If you prefer a v-neck and a shorter, straighter sleeve, I’d recommend this versatile V Neck Tulip Dress from Birdsnest. This Portmans trench is a lovely, soft, unstructured style that still provides shape with it’s tie waist. 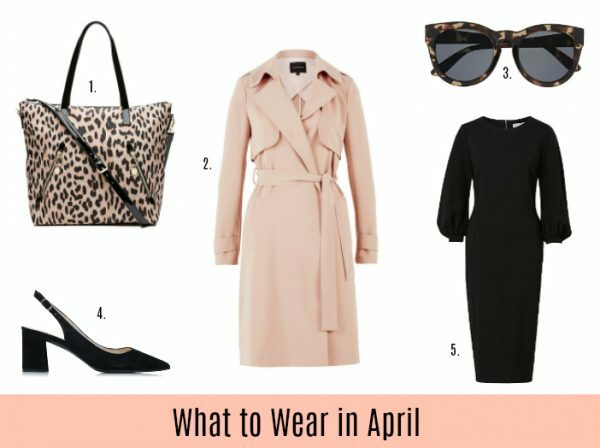 Because it doesn’t have all the buttons and hardware of some styles, there’s less going on, so I’ve added some interest with a leopard print tote – large enough for everything you need for the office or running around after the kids. If you’re not ready to say goodbye to summer or to start wearing fully enclosed shoes and boots, the slingback is a great option at this time of year, especially when it’s mild enough to go without hosiery or you want some toe coverage. The suede factor is another tick in my book – I’m a big fan of suede’s texture and give. If you’re covered in the camel department and looking for a pop of colour, this red Sophia Short Wrap Coat from Portmans is great value and a lovely shape and style. Moving on to this beautiful emerald green dress from Elk Accessories’ SOLACE collection. Isn’t this a knockout? 5. Tarte Lipstick in Daiquiri, $32 from Sephora. I adore this beautiful emerald green and this simple but smart tie waisted shift is a definite winner in my Autumn/Winter playbook. I think this classic shift shape and style works across work and smart casual scenarios too – change up your accessories for a completely different look. Above, I’ve paired it with tan shoes and accessories for a smart casual look but I’d also wear this frock with black tights, boots and a printed scarf in Winter. For a dressy do, I’d add some statement earrings and suede Mary Janes. 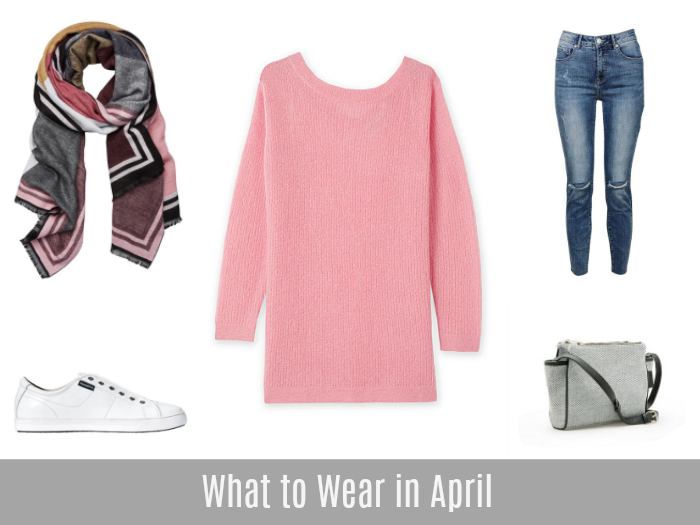 This next outfit is a casual look where each of these simple pieces work well together. Separated though, each of these pieces can be worn in many different ways and combinations. 5. Textured Crossbody bag, $79.95 from Country Road. The scarf, for example, would also work with the first outfit above (with different accessories), with a knit, long sleeved tee or a sweatshirt. I’ve dressed down this pretty pink tunic by pairing it with distressed jeans but it could also be worn over skinny black jeans or pants and heels for a dressier look. If you’re after more budget friendly options in the knit department, check out Uniqlo’s range here. There are loads of white trainer options around the place but I’ve included the NAT sneakers as they’ve been a staple for me since last Winter and after a summer of not wearing them, I put them on again recently – they’re on high rotation already – and I can’t believe how comfortable they are. If you’re after a more budget friendly version, most retailers have a version. Other scarves I’m loving right now include this navy, mustard and orange Wallace Scarf, $129 from Gorman and still in the pink zone, this Large Check Scarf, $39.95 from Seed Heritage. You’ll find more inpo in this post too. What are you loving in the fashion department lately? Which of these outfits would work best for you?